Just six of the lead characters in the nearly 300 Bollywood movies released over the last two years belonged to a backward caste, an analysis of data by a leading news paper shows. In contrast, a substantial number of popular Tamil movies of 2013 and 2014 had backward caste lead characters. For an insight into the depiction of caste in Bollywood, The news paper analysed all Hindi movies released in 2013 and 2014 for which information was publicly available, studied the characters’ names and the movies storylines, and used secondary sources of information. Only two movies in 2014 had lead characters who were explicitly from the backward castes — Manjunath and Highway, which starred a Gujjar criminal. Two others had characters who could have been from backward castes — the Madhuri Dixit-starrer Gulaab Gang, loosely based on the life of Sampat Pal, and Hawaa Hawaai, a children’s movie by Amole Gupte. Mary Kom, based on the life of the champion boxer, has a tribal lead character. Two movies had Christian lead characters, three had Sikh heroes and nine had Muslim lead characters. Among the rest, 66 lead characters were upper caste Hindus, while the remaining were Hindus of unstated caste. In 2013, two lead characters — in Bandook and the Kangana Ranaut-starrer Revolver Rani — belonged to a backward caste, while Ranvir Singh’s character in Goliyon ki Rasleela Ramleela is believed to have been modelled on a Scheduled Tribe person. In Bollywood movies released in 2013, four leading men were Christian, one Jain, three Sikh and 5 Muslim. Of the rest, 65 were upper caste Hindus, while the remaining were Hindus of unstated caste without caste reference. The numbers were the same for men and women. In the past, Bollywood produced the odd movie with a backward caste lead character. 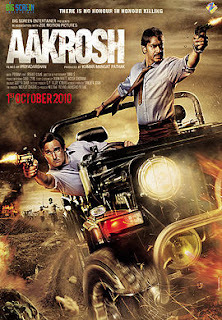 In three such movies – ‘Aakrosh’ (2010), ‘Rajneeti’ (2010) and ‘Omkara’ (2006) — the character was played by Ajay Devgn. However, movies with lead characters who are from backward castes tend to be those that deal specifically with inter-caste issues; characters do not just happen to be from a backward caste. There is a similar lack of diversity among male and female actors themselves; the overwhelming majority of nearly 750 actors and actresses who were in more than five movies over the last decade are upper caste Hindus, followed by Muslims. In contrast, more Tamil movies tend to feature backward caste lead characters. While a systematic analysis of all Tamil movies was not possible on account of the naming conventions used in the south, of the 16 top movies of 2013, seven likely had backward caste lead characters. In 2014, at least one lead character from the top 10 movies was Dalit.